Caesar’s Strategy and Genius (14:57). Loren J. Samons, Professor of Classical Studies, Boston University. 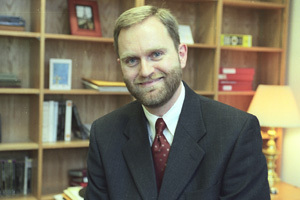 Dr. Samons is the author of many books and articles on Greek and Roman history, and the recipient of several teaching awards, including the Distinguished Teaching Professorship from The National Endowment for the Humanities (2011-). This podcast draws on material from his popular course at Boston University, “Warfare in Antiquity.” Recorded August, 2012. 1.Why Caesar went to Gaul. Caesar’s first consulship (59 BC) and the First Triumvirate; imperium and immunity from prosecution; the ten-year window; Caesar’s proconsular provinces; the pretext of protecting Gallia Transalpina. 2.Caesar’s strategy. Projecting power beyond the borders of provinces; pacification vs. conquest and incorporation; wintering in Gaul; invasions of Germany and Britain; the importance of money; the Commentaries as publicity for Caesar. 3.Caesar’s tactics. The use of location and topography to win without battle; the relative speed of Caesar’s army; the use of reserve power; campaigns of reprisal. 4.Caesar’s mastery of the psychology of his troops. Inspiring troops by fighting with them; motivating them in a difficult situation.